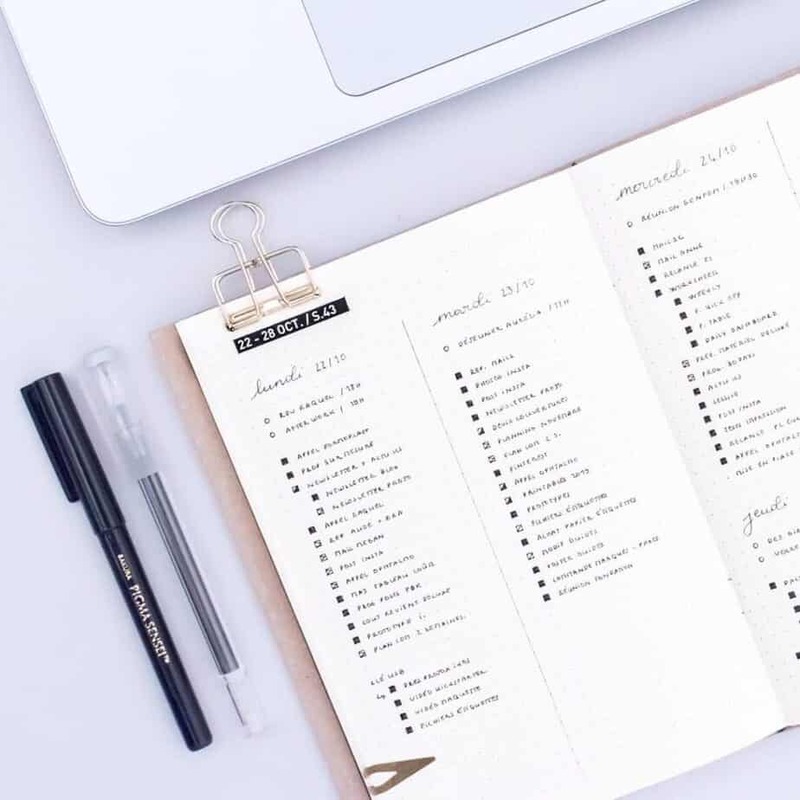 If you’re setting up your bullet journal for 2019, you’re probably checking all corners of the internet to get some amazing bullet journal inspiration to set up. I’m right, aren’t I? It’s true- people love bullet journals, and often times people just want to learn as much as humanly possible! Want to know why I know this? Last year when I launched my 18 Best Bullet Journal Accounts for 2018, I never would have dreamed the response it brought to my blog. People really enjoyed getting to know more about some of the most popular, unique, and up and coming accounts that the bullet journal community had to offer. Many new bujo users got tons of bullet journal inspiration from this post (check it out if you want even more!). Because of that post, I’ve had the amazing opportunity to develop some incredible relationships with many of the accounts I featured last year. I now write on staff for Shelby at Little Coffee Fox, Erin at The Petite Planner has guest posted on Planning Mindfully, I featured an entire post about Liz from bonjournal_ and her incredible talent for drawing, and I’m working on some incredible things with Life With Whitney. So I decided that I wanted to create another post to highlight even MORE incredible bullet journal accounts for 2019. Let’s get started! What Makes a Bullet Journal Account Amazing? 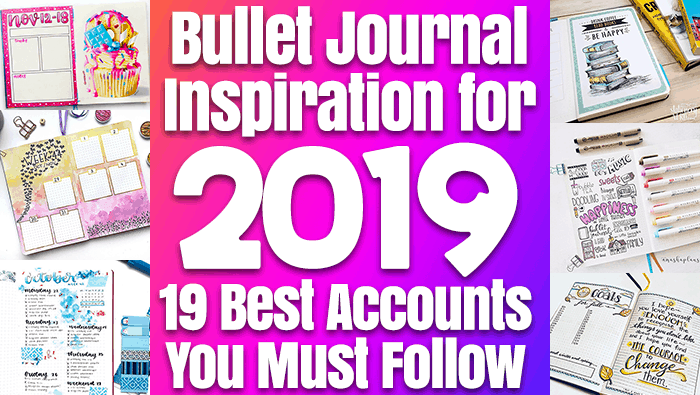 Some of the best bullet journal accounts for 2019 captivate many people, and are frequently mentioned when people ask ‘What Bullet Journal Accounts Should I Follow?’ They are fun, authentic, and people flock to new posts and listings. The best bullet journal accounts truly have other people in mind. 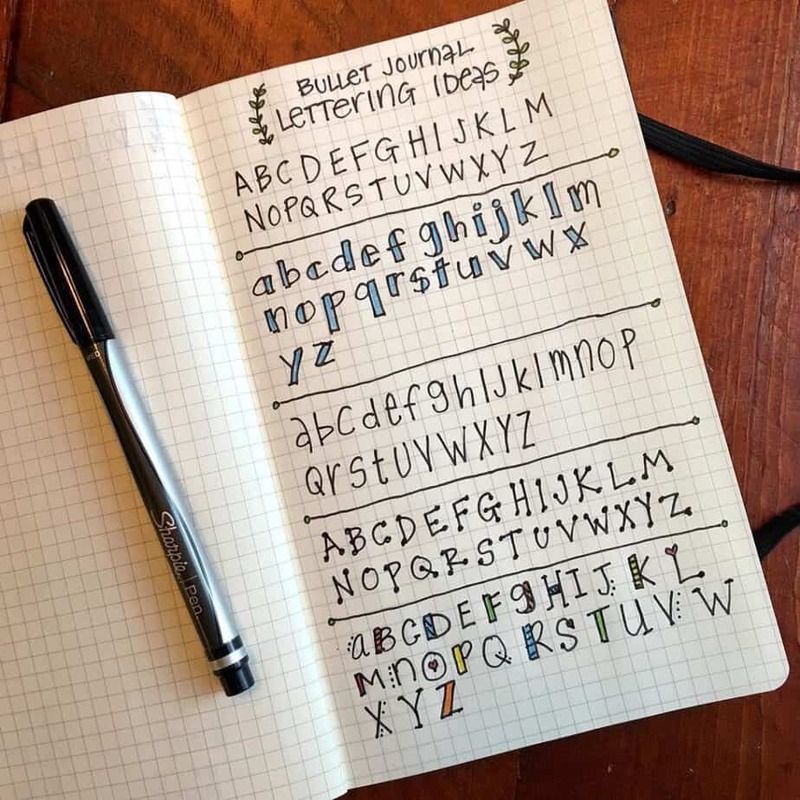 They strive to help other bullet journal users make the most of their experience by providing ideas, help, and tips to their followers. Not to mention, they provide LOADS of bullet journal inspiration! I try not to focus on this one as much, because of course, talent shouldn’t account for everything. But many of these users are incredible artists and organizers, and many of them will provide you with tips and suggestions to simplify your own art. Every bullet journal user is different in what they need and how it’s delivered to them. Some just like to see beautiful, curated content frequently from their favorite artists. Other people prefer to get guided articles that help them with their bullet journals. And another set of people prefer to get that same information but in more of a video format. Last year I tried to include Facebook and Pinterest profiles, but I find that they tend to be either communities or profiles sharing what other people do regularly. I don’t think any of that is wrong, but I really want to focus more on individual people this year. I’ll be sorting these categories between blog accounts, Instagram accounts, and Youtube accounts. That said, every account in this guide will include their other social media accounts or blogs. 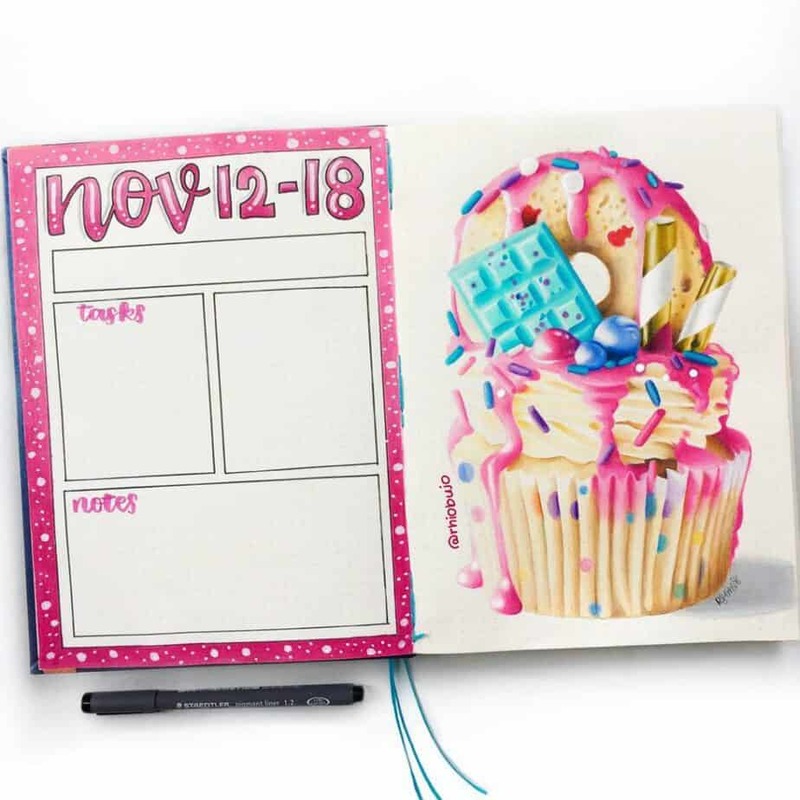 Instagram is extraordinarily popular for the bullet journal community because literally, all you need to do is take a quick picture of your bullet journal spread and put it up online. Additionally, it’s making it easier to engage with your community by using stories and IGTV. Let’s just say, Instagram is perfect for those looking for bullet journal inspiration for 2019! Here are my picks for the best Instagram bullet journal accounts! Rhio Jones is a beautiful bullet journal artist with bullet journal spreads that are out of this world. She has an incredible talent with colored pencils in particular, in such a degree that it literally looks like all of your bullet journal spreads are printed out. But she shows off a ton of video explaining how she makes her spreads. Additionally, I find her super authentic and down to Earth. She is definitely one you need to add to your follow list on Instagram for 2019! You can find all of Rhio’s stellar work from Instagram on rhiobujo! Claire is an account that I’ve been following for a long time, she’s so talented, and I definitely think not enough people are checking her out. I love her posts because they vary significantly from month to month. 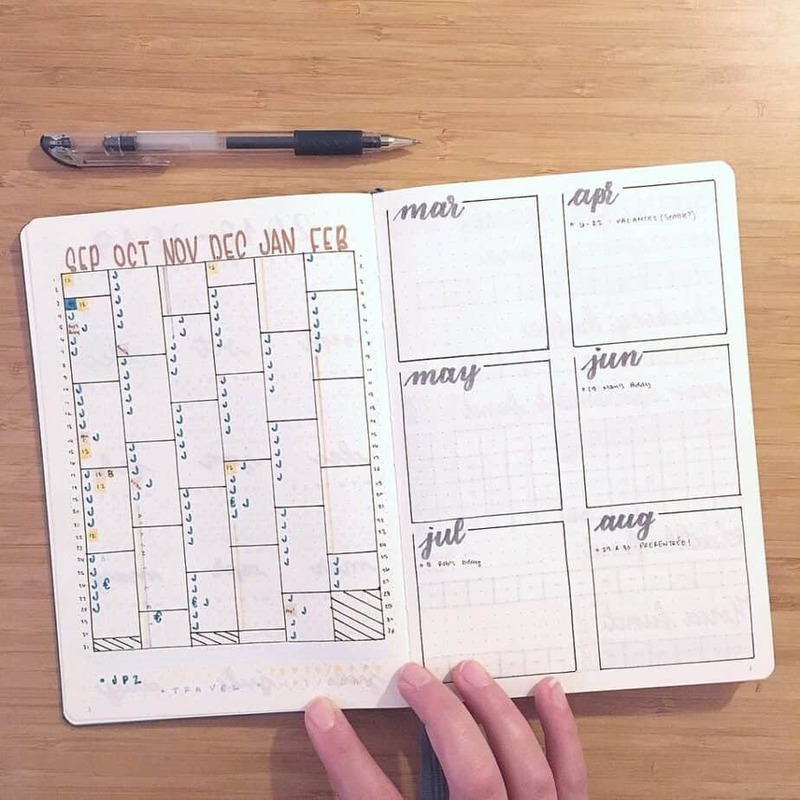 She shows off some terrific minimalist options, especially in her weekly spreads, but I absolutely love her fabulous artistic monthly bullet journal layouts as well. Want to see more? You can follow Claire at suncerulean on Instagram! Marie is another account that I love for her artistic ability, but I also enjoy how she engages with her audience through doodle challenges. She’s very good at coming up with beautiful ideas, so if you are a person who needs a lot of inspiration and ideas, Marie is the perfect account for you. You can find more from Marie on her Instagram page! The Art of Bujo is my feature account choice for 2019. 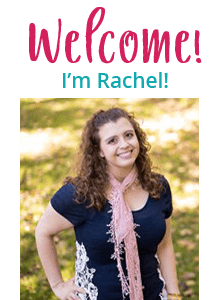 She is very involved with the bullet journal community and frequently features many different accounts to help build engagement and community. I particularly enjoy that her features include all sorts of types of bullet journal spreads; one thing I’ve noticed is that many feature accounts try to show the best of the best, but she is very inclusive and sees the beauty in what everybody has to create. She also features them in her incredible blog, which is linked below! 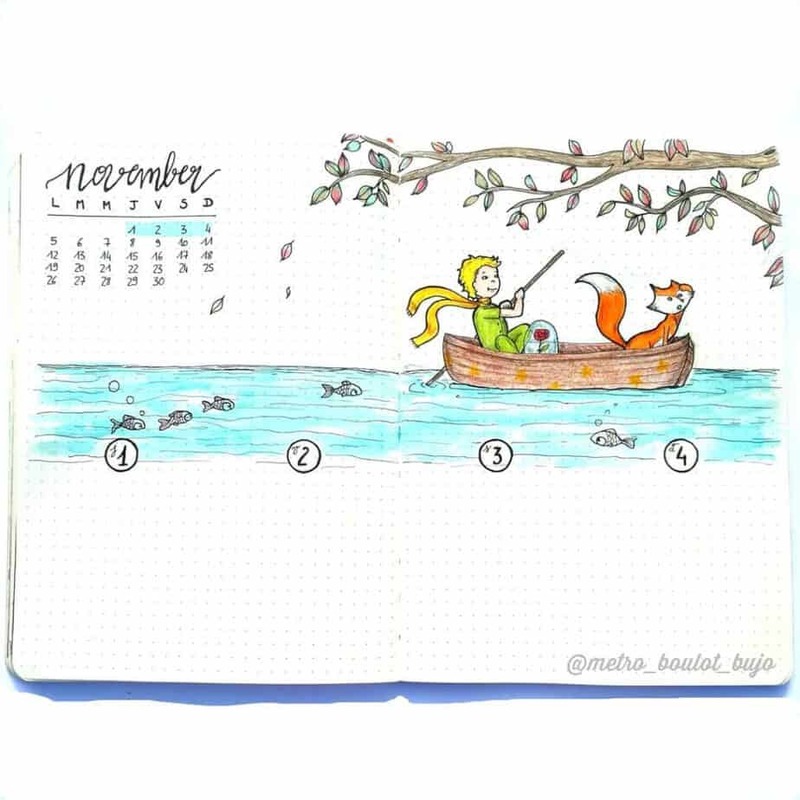 Follow The Art of Bujo on Instagram here! 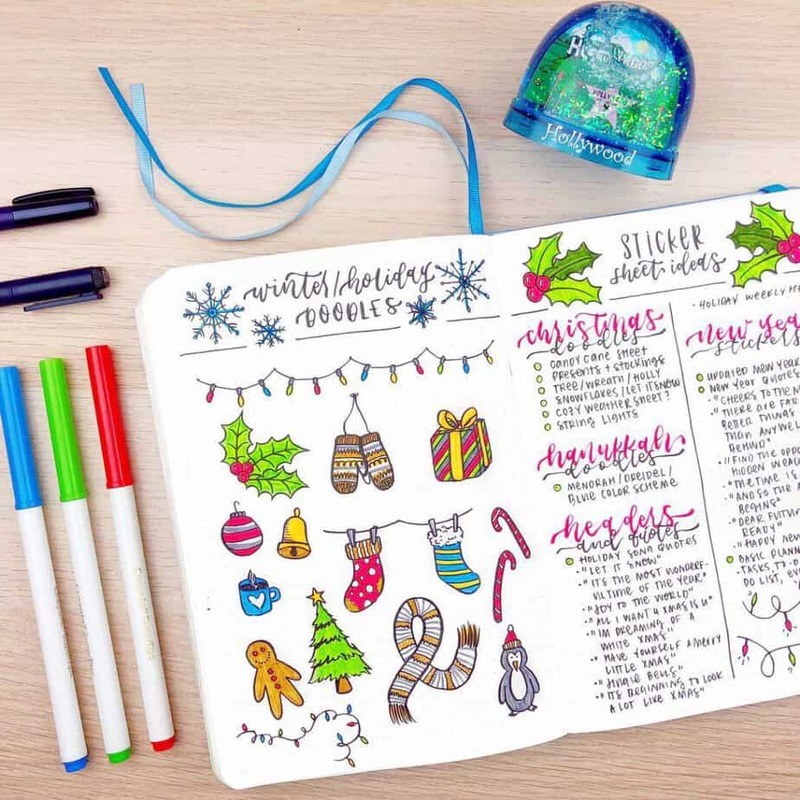 Barbara has spectacular bullet journal creations that are uniquely beautiful. 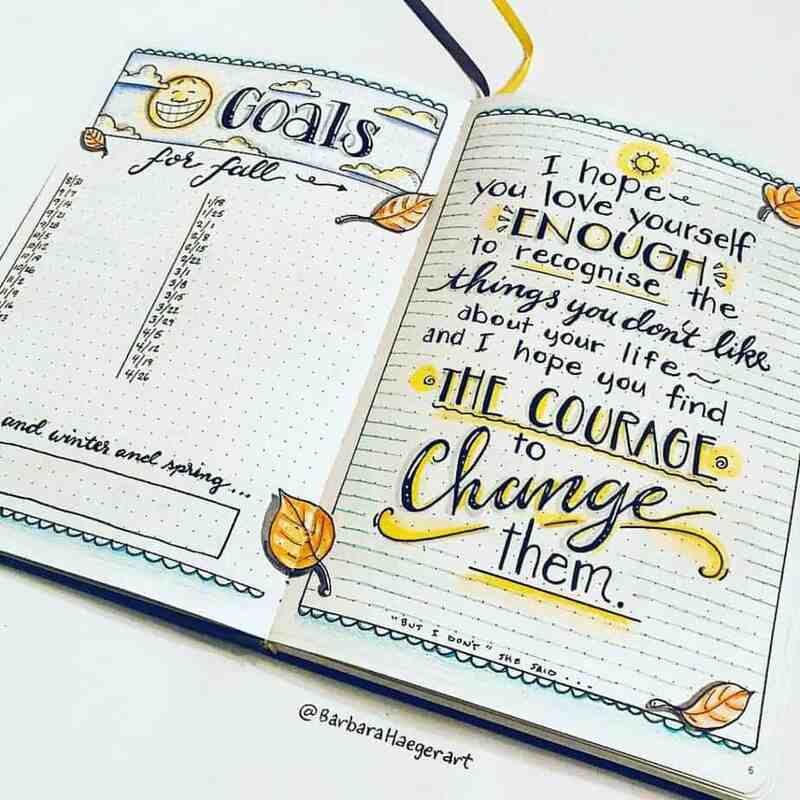 Already an incredible artist in other means, she brings a freshness to bullet journal spreads that I don’t see often in the community. Each spread is just a little different, full of beautiful art and organization. She’s for sure one to follow for 2019! Follow Barbara on Instagram here! Rose has become a very good friend and one I enjoy chatting with regularly in the bullet journal community. She is a beautiful artist with talented ideas. Her blog is filled with tremendous ideas, like her amazing bullet journal fonts post that went very viral this year, but it’s also full of great advice, freebies, and videos on how to bullet journal. Not to mention, her stickers are fabulous! I will link to her shop below, but if you’d like to see her work, you will also find many of her stickers in my May 2018 Plan With Me blog post. Go check out her blog, Little Miss Rose, to see everything she has to offer! Claire is an extraordinary bullet journal artist, and she is passionate about helping people improve their productivity and organization. She engages with many other bloggers in the bullet journal community, showing off different organizational techniques and helping people succeed. She’s so productive, she’s even created a product line specifically meant to help people organize and plan their work projects. It’s incredible! Not to mention, she offers loads of printables, free resources, and tutorials to help you succeed. You can find more from her blog, Minimal Plan, to read her wonderful articles! 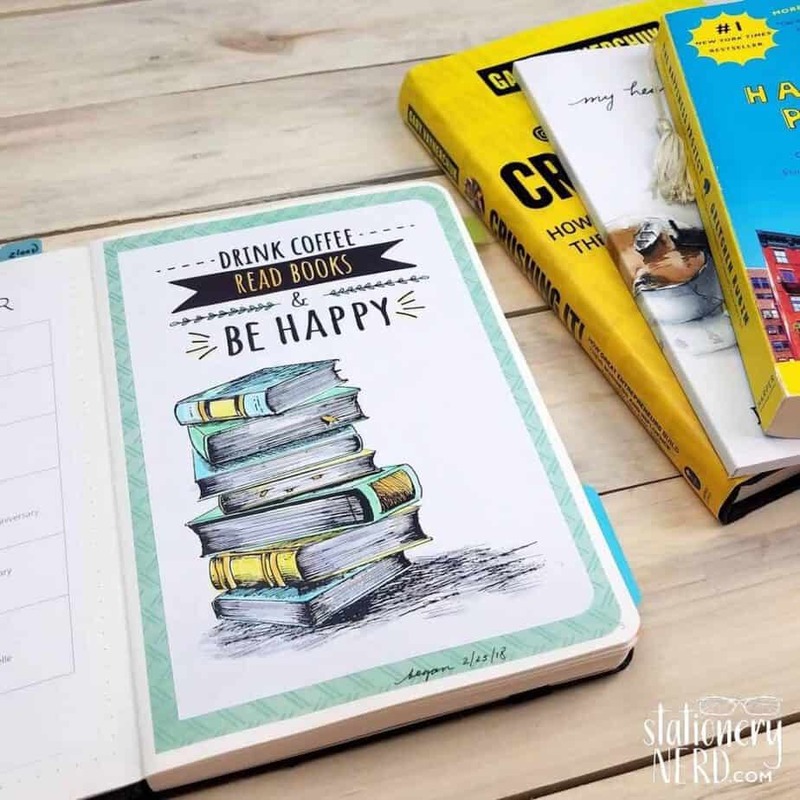 Elizabeth is a creative blogger who offers a ton of useful resources, guides, blog posts, printables, and also does a terrific job at featuring other bullet journal bloggers within the community. Besides bullet journals, you’ll find incredible content about organization and positive living. Something that she that makes her unique is that she customizes bullet journals for other people- and I can say that is no easy feat! You can search more about that in her shop, though she may be sold out! 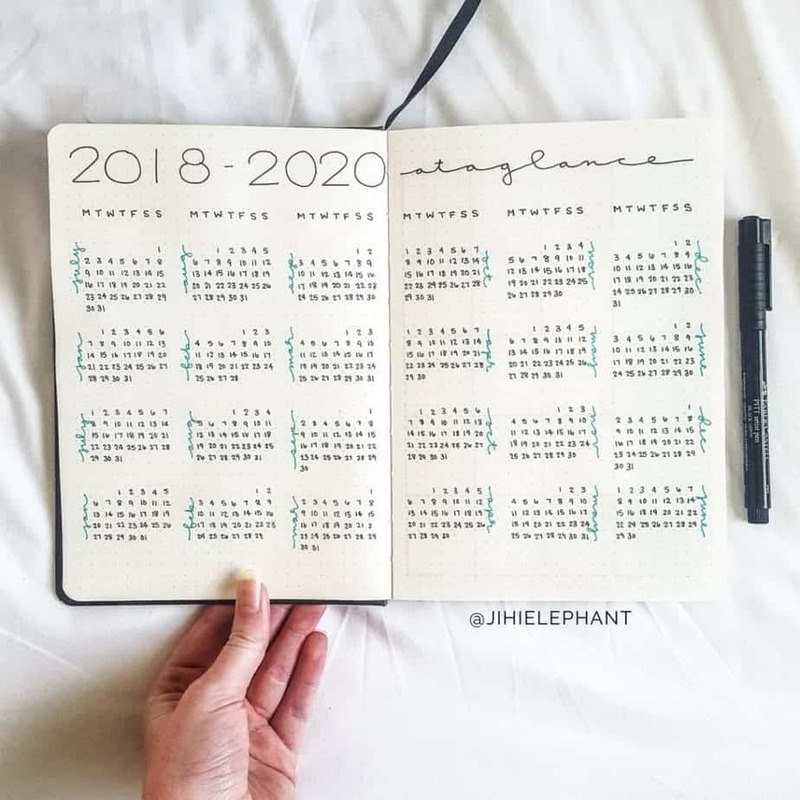 You’ll find tons of creative articles and bullet journal inspiration for 2019 at her blog, Jihi Elephant! Masha is a blogger from one of my blogging communities and I’ve quickly fallen in love with her blog and her love of helping other people find success with their bullet journals. 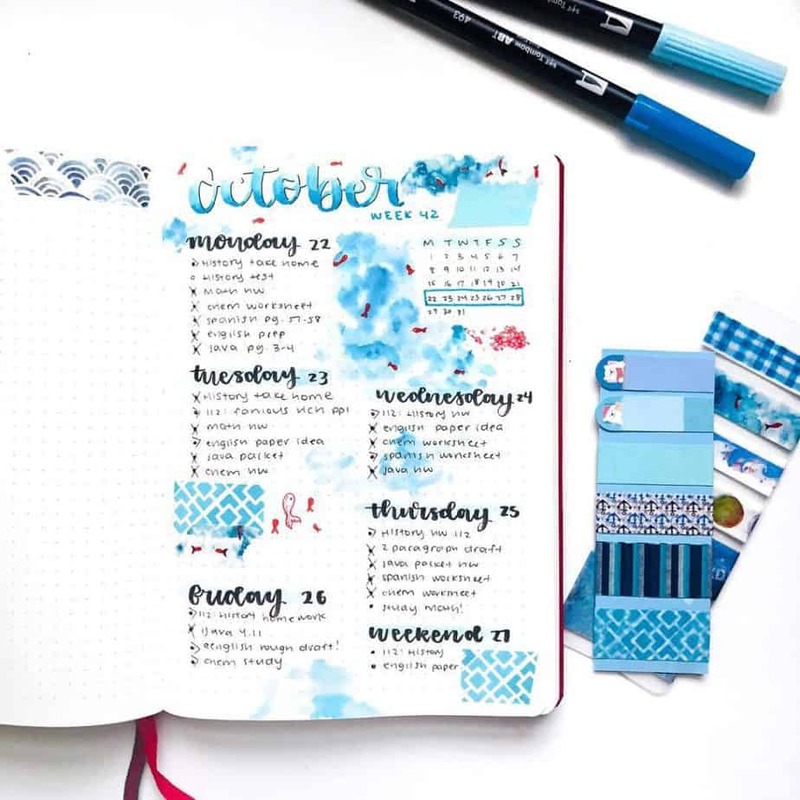 If she doesn’t have a bullet journal spread of her own to share, she loves to feature a wide array of other accounts to help make sure her points make sense and inspire her readers. Additionally, you’ll find information about bullet journal and stationery products, as well as productivity and personal development tips! You’ll find everything she has to offer on her blog, Masha Plans! Nancy is a very busy mom and business owner who has also found love, peace, and joy through her bullet journals. While crochet and knitting are her day job, she lives in her planner. Time management hasn’t always been easy for her, but her bullet journal helps keep her successful. She shares valuable tips on bullet journals, planning your life, doodling, and hand-lettering. She offers many fun freebies for her followers on her blog. 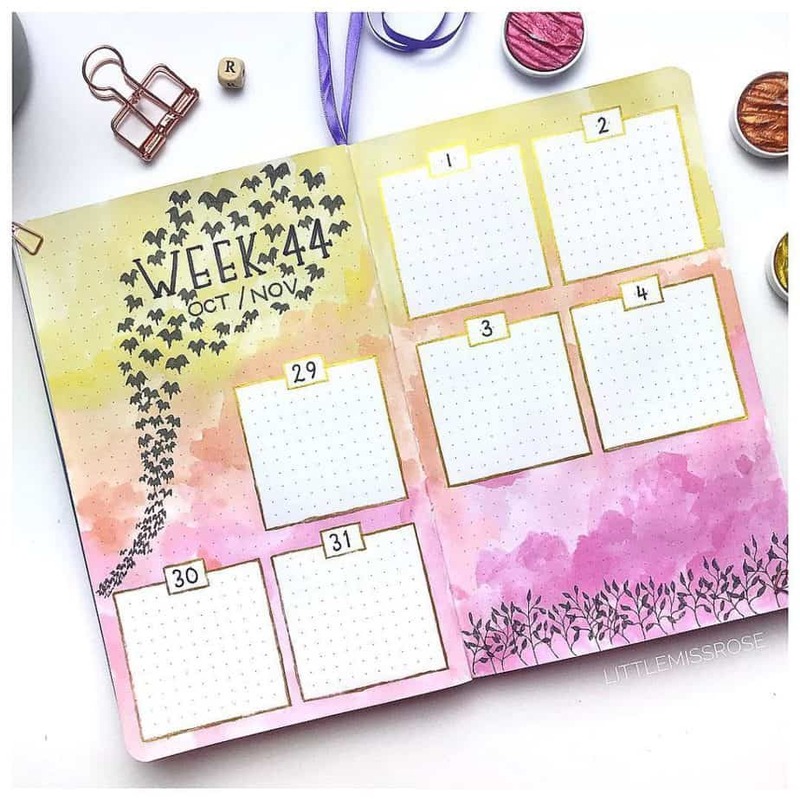 You can find her amazing ideas along with lots of bullet journal inspiration over at Sweet PlanIt! Marlena loves bullet journals and has a ton of valuable bullet journal content. It’s evident in her blog that she sees the value of mindfulness from a bullet journal, and how it can help to improve your life for the better. She has many blog posts that help you see how you can implement mindfulness in your own bullet journal. Marlena’s blog will also help you with confidence, mindset, productivity, and (if you’re interested), how to start a blog. You’ll find all this goodness over at A Pen and a Purpose! Pam is a self-proclaimed lover of stationery (you’d never tell from her name, right? ), and her blog is filled with a ton of helpful posts about keeping it real with a bullet journal. I love that she considers herself not a ‘bullet journal purist’, which means she is more concerned about making her she both loves and finds function with her own bullet journal. She also just launched an epic shop with some great printables. Her authenticness in the bullet journal community is extraordinarily refreshing. You’ll find a lot of other creative ideas, reviews, and more. 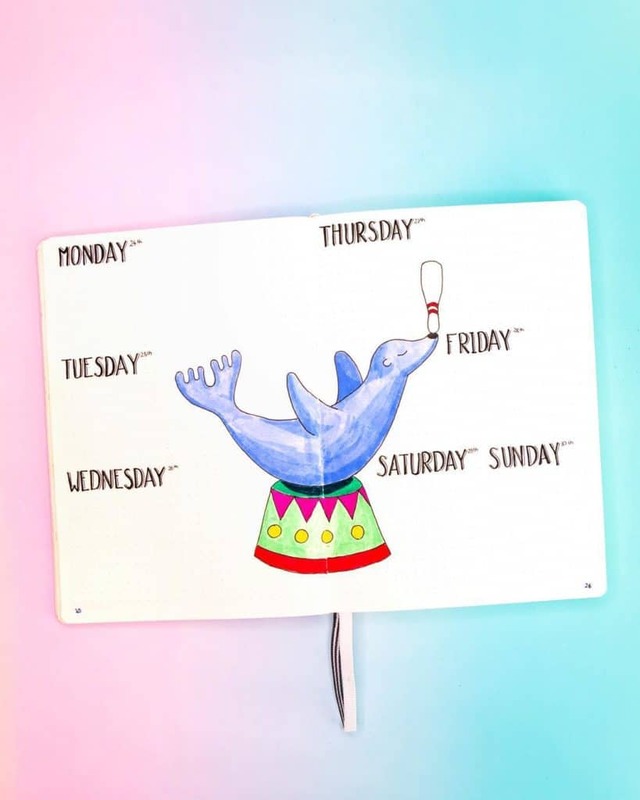 If you’re ready to see everything Pam has on her site, check out Stationery Nerd! 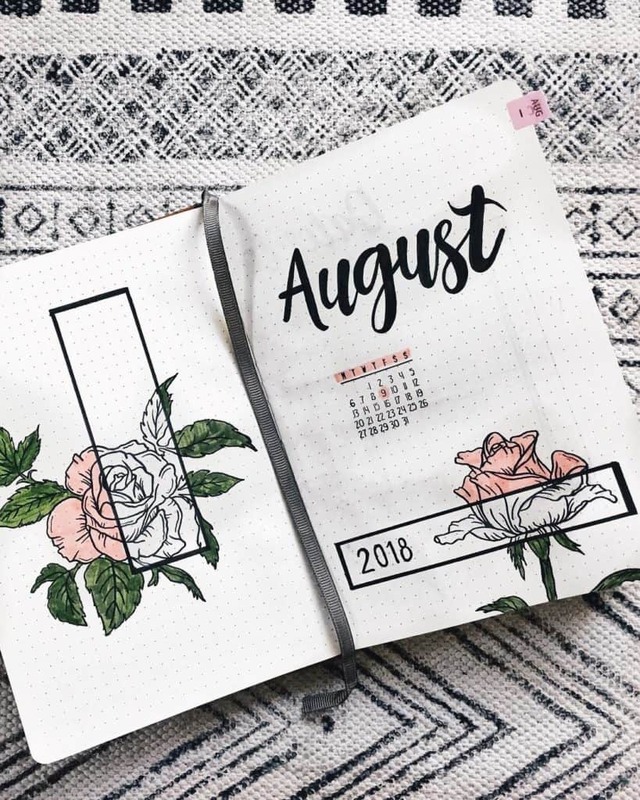 This cute, fun bullet journal and planner blog is new to the scene, but I have a strong feeling that she will rock it for 2019. 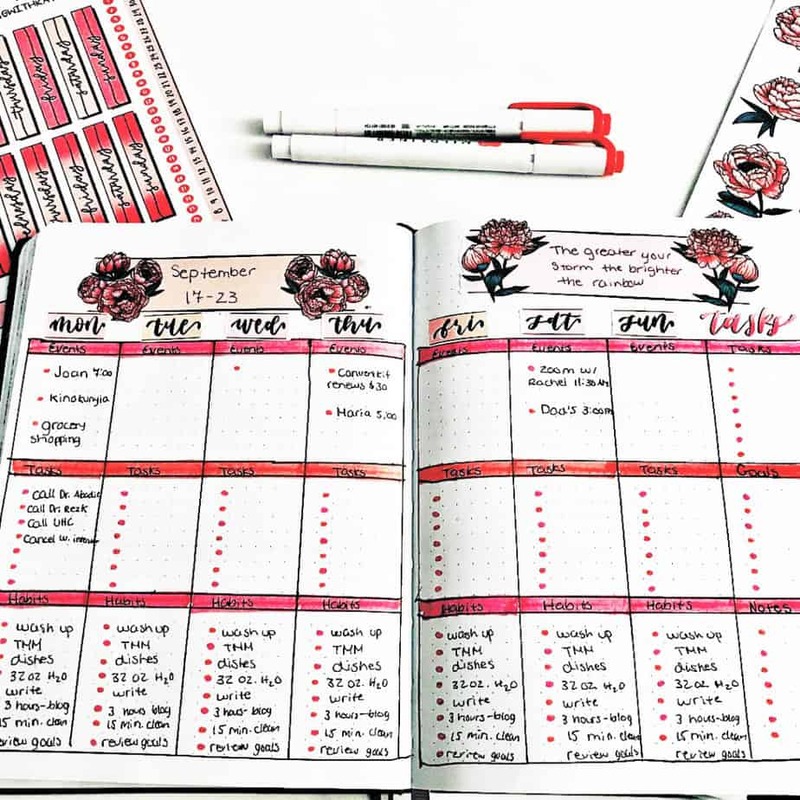 She has an incredible printable shop, for one, but she has a lot of great ideas that help you optimize and simplify your bullet journal. If you enjoy journaling, she has a few great blog posts that highlight to create a creative journal. She’s the perfect pick for the DIY fan, in my opinion. You can find more of Rhoda’s creativity over at Lemony Fizz! I also like that her site includes other tips to stay organized, as well as craft ideas that are fun and engaging. She additionally has a newly created printables shop on Etsy, so she is worth a follow for 2019! You can discovery Uliana’s creative spirit at her blog, Tinker About! Hannah is a good friend of mine in the bullet journal community and it’s been a pleasure getting to help her with her bullet journal blog this last year. I love that she keeps it very real when it comes to her bullet journal and shares practical tips, tricks, and hacks that make simplifying bullet journal set up a breeze. She is an excellent choice to follow in 2019 for those who tend to get intimidated by extremely artistic bullet journal spreads. Beyond bullet journal content, Hannah also includes personal development content to help you improve your life and shift your focus on making your life as easy as possible. You’ll love how she walks you through her processes as if you were in her home with her, and she shares her recommendations and products that will help you improve yourself. You can follow her blog, One Night Plans, for more ideas and recommendations! I love Jenniffer from Life is Messy and Brilliant! She has a ton of valuable bullet journal blog posts all over her blog, and she has incredible printables that help simplify and ease the process of setting up. What sets her apart from a lot of the blogger accounts I feature in this post is that she also posts about digital journaling, which is one area I have yet to venture into or mention much about. She even offers helpful study tips and survival guides for students. You can find all these helpful tips and bullet journal inspiration for 2019 over at Life is Messy and Brilliant! So, I’m going to be perfectly transparent here. Youtube is not my thing in any way, shape, or form. While I may hop on video, I find pictures to be easier to go off of, so Instagram and blogs have more of my recommendations and suggestions. That said, I know a ton of people love Youtube and rely on it heavily for their bullet journal inspiration, so I think it would be out of taste to not include some accounts. As an aside, I think I will be watching more video accounts in the future. I never realized how much I’ve been overcomplicating my bullet journal spreads, and watching videos of what people create helps me realize that I can do a lot while keeping it simple. If you haven’t been a Youtube fan in the past, but you’re frustrated with the look of your spreads, you seriously need to try following my recommendations and see for yourself! I relied on followers in my communities for ideas and suggestions on Youtube accounts that seem to be popular and well-enjoyed. 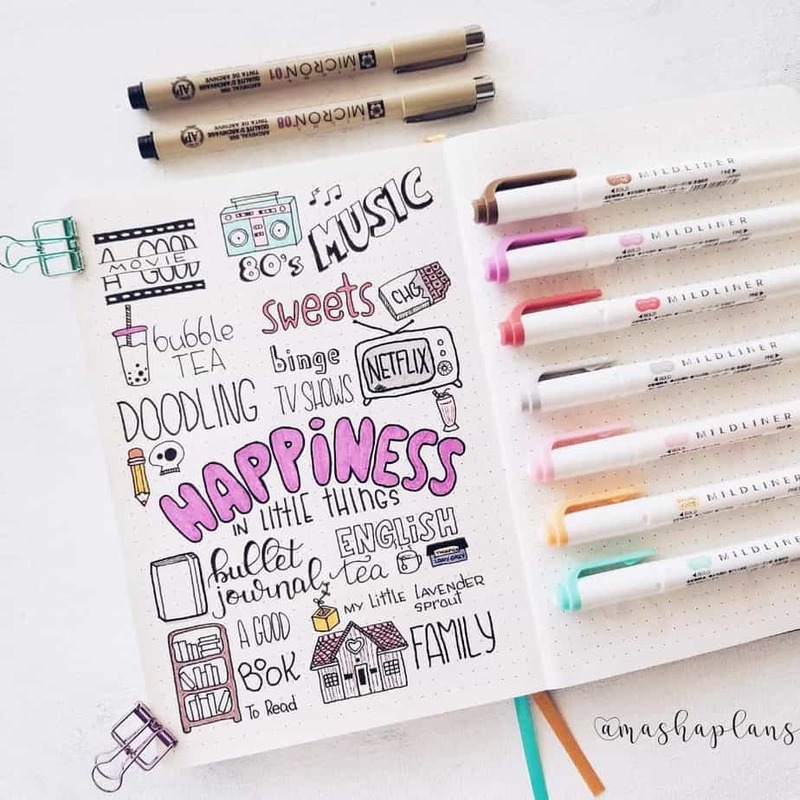 I did take the time to go through and check out the various accounts introduced to me, and these four were the ones who stood out to me as amazing choices for best bullet journal accounts for 2019! I love how incredibly informative Christina’s Youtube videos are. I think that each post offers something valuable and the approach is very straightforward while authentic. She promotes services that will help the lives of her viewers, which I think is really terrific. Additionally, she shows that you can create beautiful bullet journal spreads that aren’t challenging at all! In fact, one of her Plan With Me videos that I watched, the doodles and lettering were from stamps! I would have never guessed! 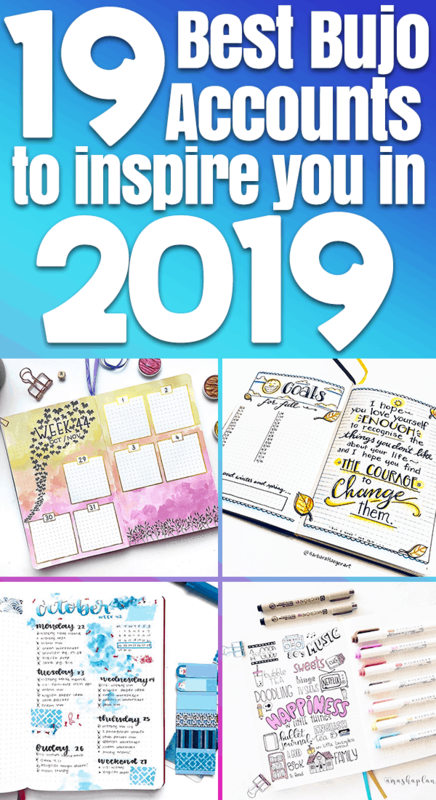 You can watch her incredible videos to get bullet journal inspiration for 2019 at My Life in a Bullet! 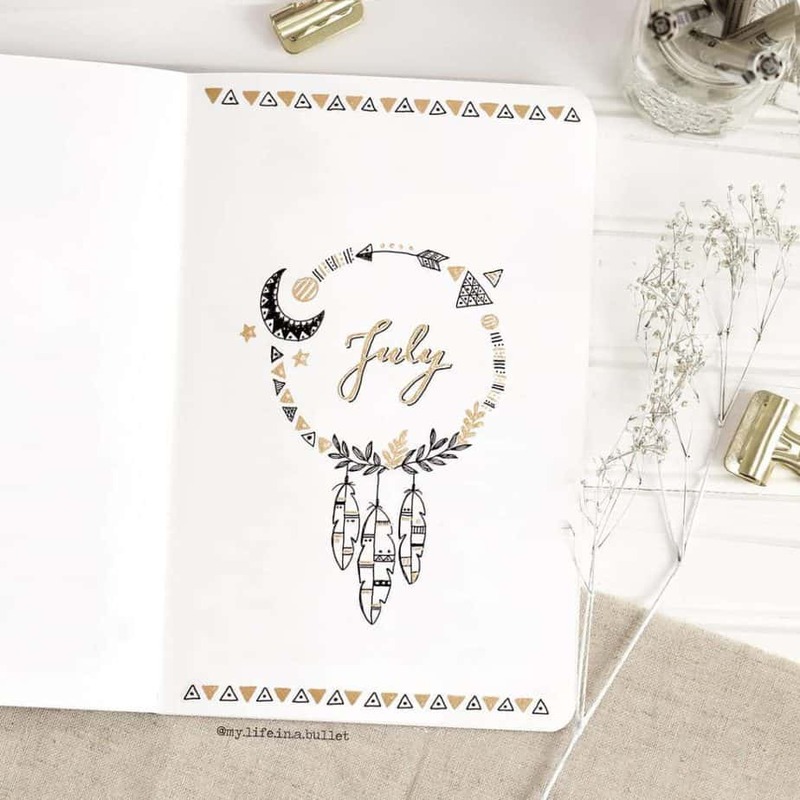 Meet Caitlin from Sunshine and Stationery, her sunny approach and extremely informative disposition when it comes to bullet journals made her a complete standout for my favorite bullet journal accounts in 2019! Not only are her setups very easy to follow, but she also talks about how she manages her planning in real life. Not to mention, I like her reviews and the fact she addresses common issues people don’t think about when it comes to their bullet journals- like being left-handed! While it’s not a struggle I deal with, I can see how it could cause issues with smudging, so I’m sure a lot of lefties appreciate the help! You can watch her super helpful and informative bullet journal videos over at Sunshine and Stationery! Ok, when I first watched Kayla’s videos, she blew my mind. I think somewhere in my head I’ve always believed most amazing bullet journal spreads, in general, were all hand drawn… and Kayla absolutely proved me wrong. You can create absolutely phenomenal bullet journal spreads that don’t take a lot of time, as well as not having to rely on markers and pens that are super expensive. That’s what made me pick her as an incredible choice for 2019. It goes to show that you can do amazing things and keep it simple. Go watch her amazing art skills over at Planning with Kay! I was recently introduced to Andie, a growing bullet journal account on Youtube (I’m not much of a Youtuber myself), but I loved getting to see her approach to her bullet journal spreads! 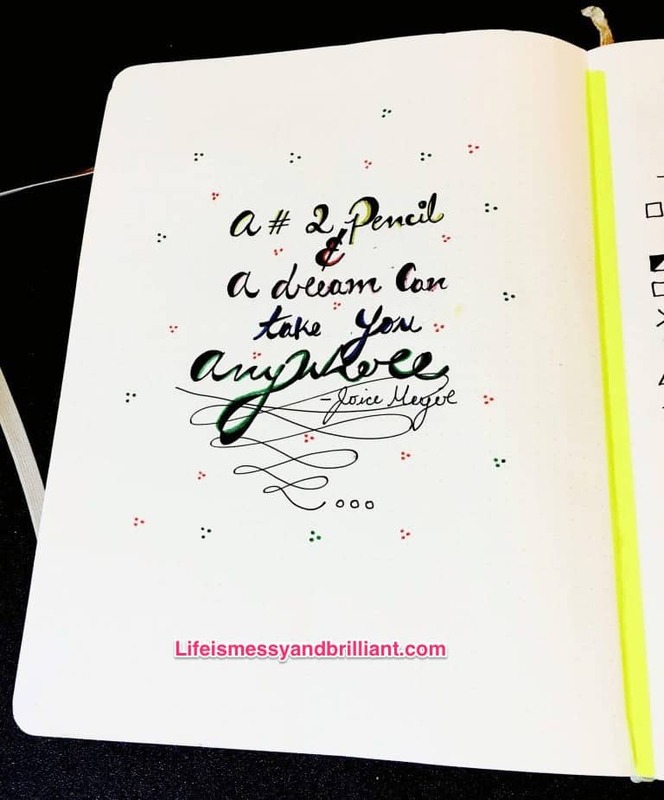 It’s easy to believe that many amazing bullet journal accounts freehand, but you see very clearly that Andie relies on rough drafts, which can help eliminate mistakes. She’s very authentic in her approach and she is very honest in what she experiences with her bullet journals. Not to mention, she has some pretty cool theme ideas and setups! Go see her amazing bullet journal spreads, along with some other fun videos, at It’s Me, Andie! I feel refreshed and ready to tackle my bullet journal for 2019 keeping these accounts in mind! What’s been really fun this year has been getting to see new accounts, new talents, and I got a ton of new ideas and inspiration. I never realized how prior to my research, how stuck in my ways I was with the accounts I followed for bullet journals. What did you think of the choices for the best bullet journal accounts? Who are your favorite accounts that bring you tons of bullet journal inspiration for 2019? Feel free to share in the comments! Ready to set up your bullet journal for 2019? Check out the Ultimate Bullet Journal Set Up Guide before you get started! 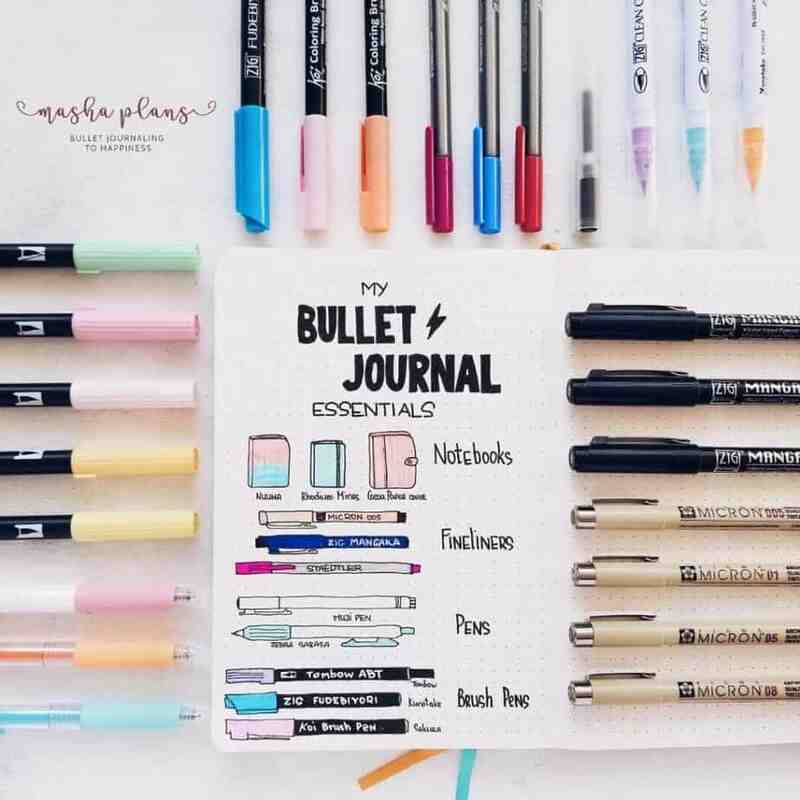 Did these bullet journal accounts inspire you? Help inspire others by sharing on Pinterest! Thank you so much for including me in your Round-Up! I feel very much honored and inspired by the other accounts and blogs you included. I’m sharing and loving this post.